In 2009 a new amusement park opened in North Myrtle Beach called OD Pavilion. The OD stands for Ocean Drive, the street that runs through the middle of it. 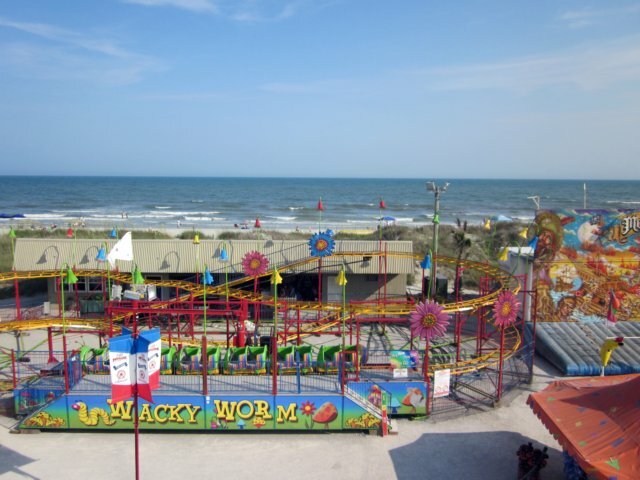 It’s not to be confused with the former Pavilion amusement park that was located in downtown Myrtle Beach and closed in 2006. Amusement park may be a misnomer for this park as it is made up of traveling carnival rides from Dreamland Amusements Company. They sit on two gravel lots straddling Ocean Drive. The rides hang around from Memorial Day to Labor Day and the park is open most evenings during that time. One of the two roller coasters that we rode during our trip was Wacky Worm. 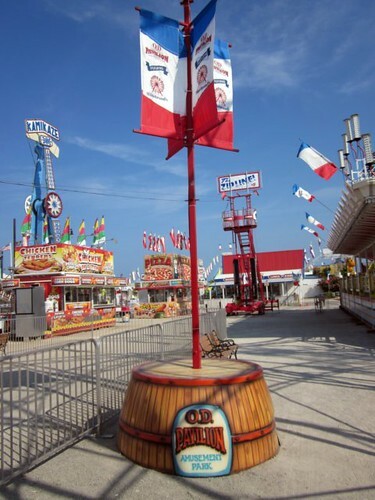 It is a kiddie/family coaster with standard layout found at many carnivals and smaller amusement parks. I think it is the third or fourth layout exactly like this that we have ridden in the past year. My daughter talked me into taking her on Kamikaze. The name is very appropriate and I would only do it once. Perhaps if I were a bit younger I would appreciate the ride more. The restraints weren’t very comfortable for the large amount of time that we spent upside down. The real star of the park, for this trip anyway, was Zyklon Roller Coaster. 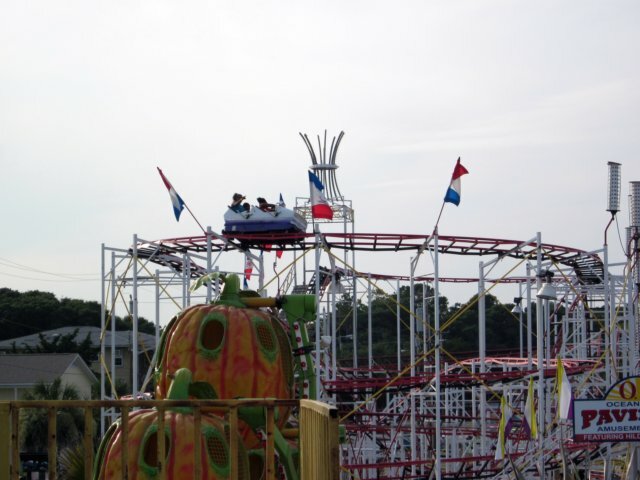 It has a layout that people of all ages can enjoy. We rode it a handful of times during the evening. With the nature of this park, there will probably be a different star roller coaster next year as there have been in previous years. 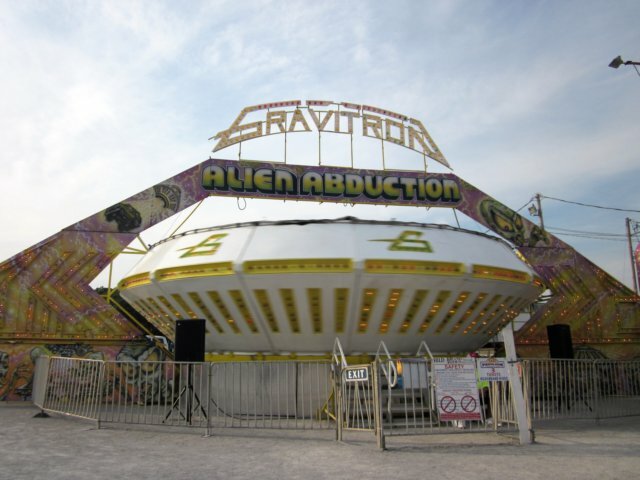 You can buy tickets and hand them over for just the rides that you want to participate in. 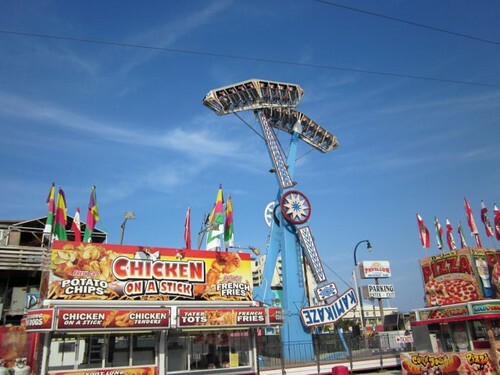 There is also an all-you-can-ride armbands for $25 per person. We purchased the armbands but afterwards found them to be a bit steep since a few of the rides we wanted to do weren’t included and were an up-charge. That information wasn’t clear on their website or at the park itself. Despite that we made the best of it and had an enjoyable few hours on the dozen or so rides that were included with our pass. Tagged Myrtle Beach, OD Pavilion.